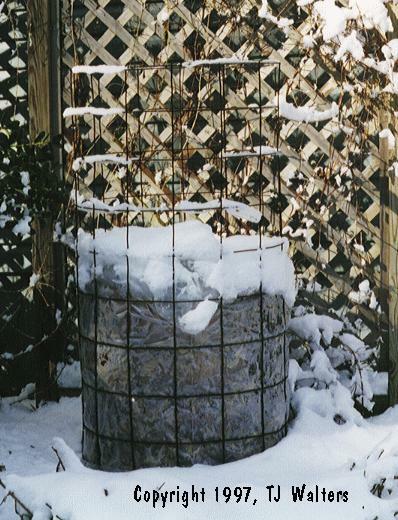 Make a Huge Wire Cage - Create a "super tomato cage" using concrete reinforcement mesh. Clip off the bottom-most horizontal ring, leaving the vertical prongs to serve as "legs" that can be pushed into the ground. 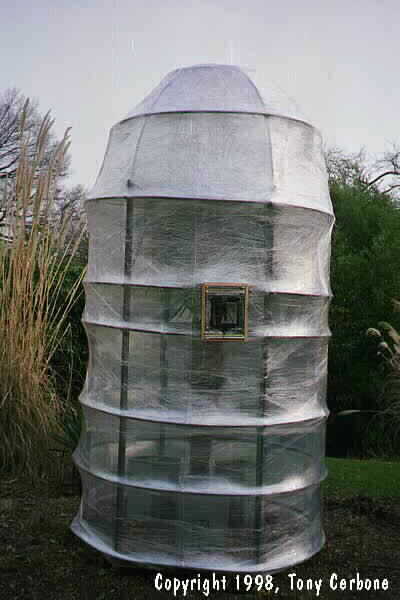 Make sure the cage will be tall enough to cover the palm, with room to spare, and wide enough to encircle the palm. Line the Cage with Plastic - Turn the cage upside down, so the "legs" are facing up. 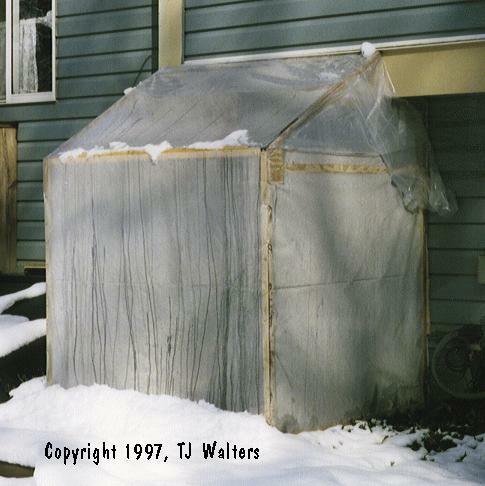 Line the inside perimeter of the cage with plastic sheeting, using enough to go around the cage at least 1.5 times. Leave about 6" hanging over the legs to the outside of cage. Pull the plastic down over the legs so that the legs poke through the plastic to anchor it. Make sure there is enough excess plastic at the top of the cage so it can be folded over and sealed. Turn the cage over and place it over the palm. Push the legs into the ground to anchor the cage. There should be about 6" of plastic now hanging out from the bottom of the cage. 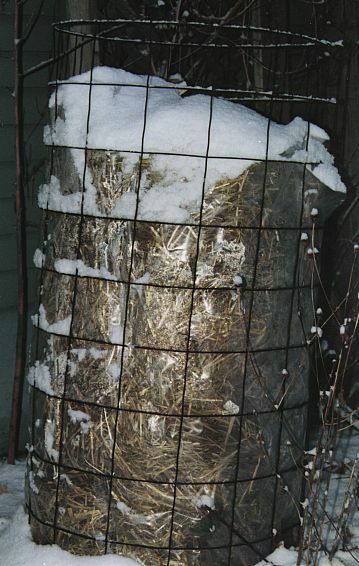 Stuff with Dried Leaves - Begin filling the cage with dried leaves, packing them tightly. Continue adding/packing the leaves until the entire palm is covered. At this point, fold the excess plastic over at the top, and seal tightly using any method desired. 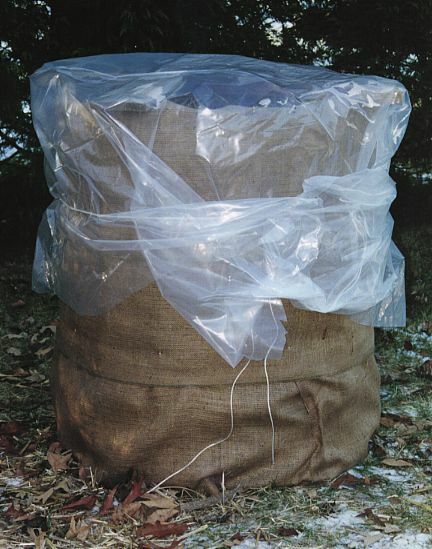 I generally just tuck the excess plastic down between the wire cage and the leaf-stuffed plastic liner. Finally, throw mulch or soil on the 6 inches of plastic hanging out from the bottom of the cage.